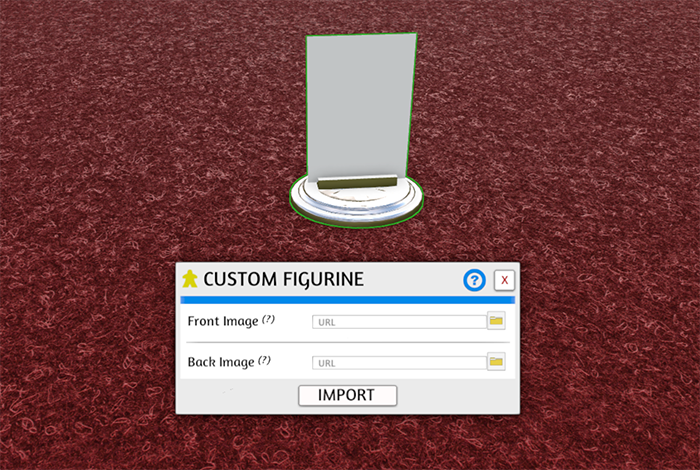 Custom Figurines are a good way to add characters to your games without having to know how to 3D model. Custom figurines are like paper figurines with a stand. Import an image from your computer or input a URL for both the front and back image. Custom figurines support transparency, even with two different images, they will look different on both sides, as shown in the gif below.